The past few days have brought us temperatures soaring above 65 degrees, which only makes me think of one thing: SPRING is coming!!! This is the time of the year when my fingers start itching to handle all things pastel, light, and bright. It’s the perfect time to begin switching out your décor from winter to spring. 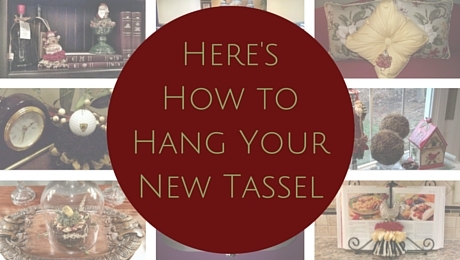 And although you might not be quite ready to completely overhaul your entire home, a decorative tassel placed here and there is the perfect way to ease your surroundings into the spring season. The Daisy Bunny Tassel features a beautiful white bunny holding a pink daisy. The flower ornamentation represents purity and innocence making this tassel the perfect way to say “Thank you”, “Thinking of you”, “Get well soon” and so much more. The approximate size of the Daisy Bunny Tassel is 5″H from the top of the figurine to the bottom of the trimming, and 3″ in diameter at its fluffiest part. 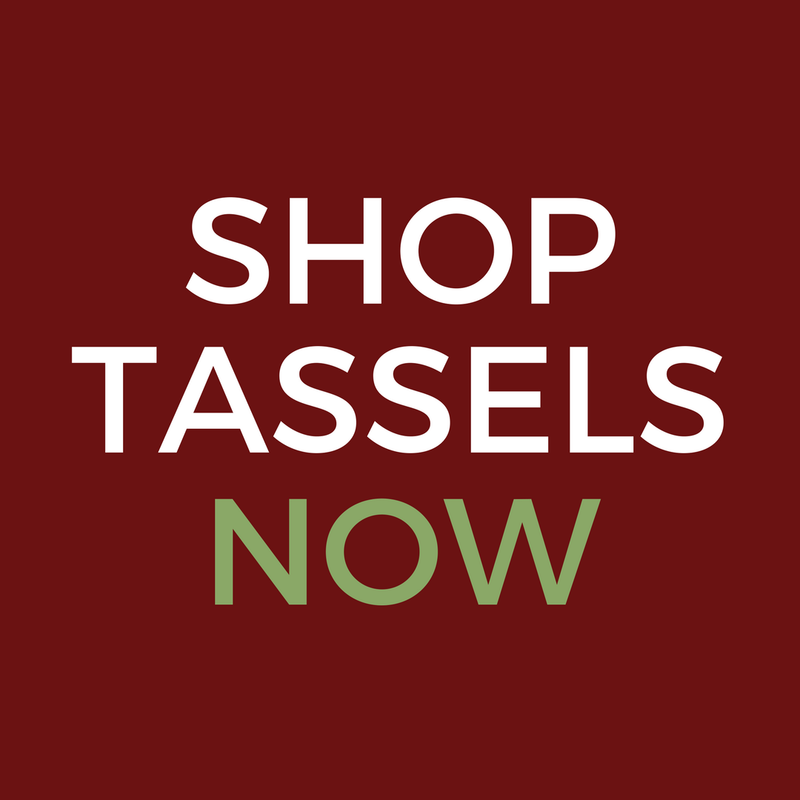 Share a tassel as a gift: Hostess, Birthday, Housewarming, Bunny Collector, Baby Shower and the outdoor enthusiast. Display and enjoy for a lifetime. Come in two different styles. The flowering Dogwood is a spring super star. Not only are the blooms fragrant they are rich in history serving as the State flower of North Carolina and Virginia. Our Dogwood Flower Barrel Tassel will add instant elegance to any traditional, country or modern home. The exquisite details, and beautiful colors of this small home decor accent will add big style beauty to any room in your home. The approximate size of the tassel is 7.5″H from the top of the figurine to the bottom of the trimming and 3″ in diameter at its fluffiest part. The Dogwood Flower Barrel Tassels is a home accent of timeless elegance sure to spark interest and conversation. Whether you are accenting a lamp, a piece of furniture or giving this masterpiece as a gift, one thing for sure it is sure to please; Hostess, Housewarming, Hospitality Gift, Birthday, Mother’s Day and so much more. The Hummingbird Tassel represents the smallest of birds in the Americas. Brightly colored and full of energy, this bird brings hours of pleasure and accents to the home. Imagine the conversation stimulated by your Hummingbird hanging from your sunroom lamp or bakers rack. The colorful addition to your home will be a conversation piece and sure to add a smile to all. The approximate size of the tassel is 4.25″H from the top of the figurine to the bottom of the trimming, and 3.5″ in diameter at its fluffiest part. The Hummingbird Bird Tassel makes the perfect gift for: The Nature Enthusiast, Mother’s Day, Birthdays, Hostess, and Housewarming. Add this special handmade accent to your home to last a lifetime. The Hummingbird Tassel comes in multiple styles and trim options. The Whimsical French Barnyard Rooster Tassel is sporting a feather frenzy of sorts. The approximate size of the tassel is 8.5″H from the top of the figurine to the bottom of the trimming, and 3.5″ in diameter at its fluffiest part. Finely crafted and made in America, our tassels make ideal unique gifts: Hostess, Housewarming, Birthday, and Anniversary. Bright colors that spark a timeless sophistication….make it yours! The gentleness, innocence, and purity reflected in our Shaggy Lamb Tassel is sure to please a sheep enthusiast, small child,or Christian follower.Your style, your home is the perfect place to hang this unique symbolof love and warmth. The approximate size of the Shaggy Lamb Tassel is 5″H from the top of the figurine to the bottom of the trimming, and 3.5″ in diameter at its fluffiest part. Classic Tassels and More tassels are perfect gifts for: Baby Showers, Birthdays, Religious Celebrations, Mother’s Day and Sheep Enthusiast. The Shaggy Lamb Tassel is charming, cute, and handcrafted in America. Next postWhat is Traditional Home Decor and How Do I Incorporate it into My Home?